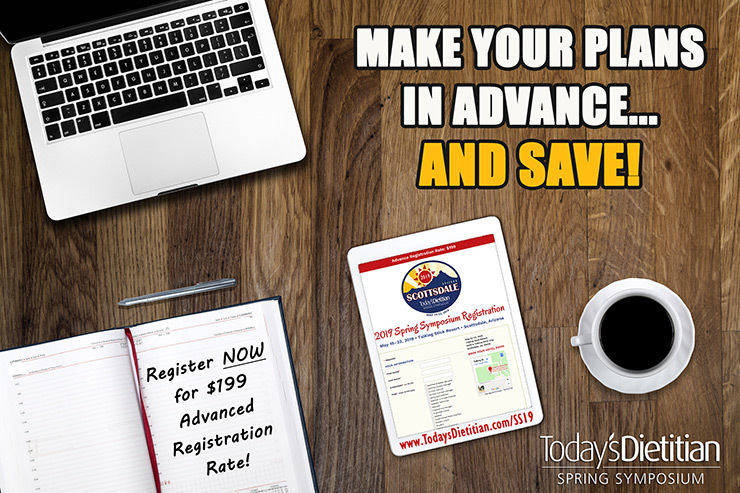 When you plan in advance, you often get the best deal, and our Advance Registration rate of $199 for the 2019 Spring Symposium in Scottsdale, Arizona, is definitely an offer you shouldn’t pass up! Make plans to join us at our May 19-22 event in Scottsdale, where you can earn 15 CEUs or more! Our continuing education program will once again feature an all-star lineup of presenters leading engaging sessions and workshops that cover a diverse range of topics, all applicable to the practice and career development of nutrition professionals. In addition to learning from some of the most respected experts in the field, attendees will benefit from a variety of on-site networking opportunities with presenters and peers, plus information and product sampling from our sponsors in the exhibit hall and complimentary (and voluntary!) fitness activities. at the picturesque Talking Stick Resort.